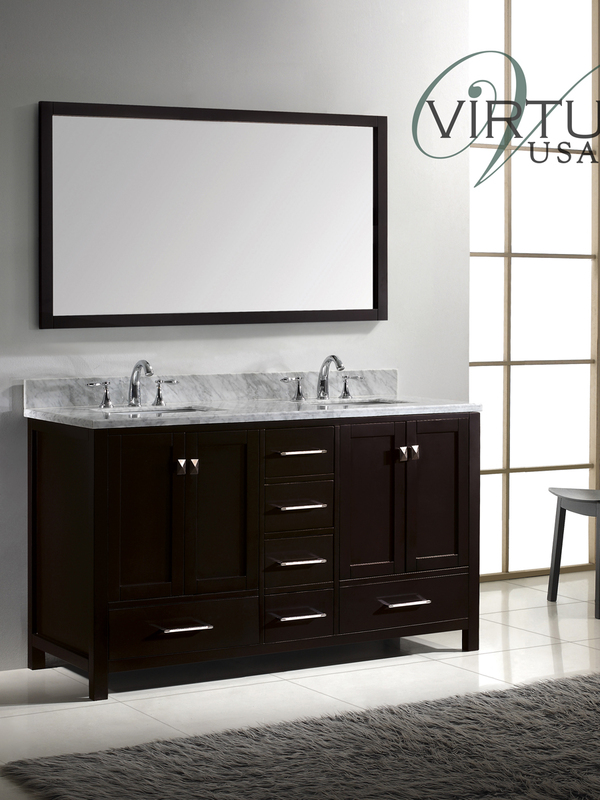 Sophisticated style and functionality come hand in hand for the 61" Caroline Avenue Double Vanity. 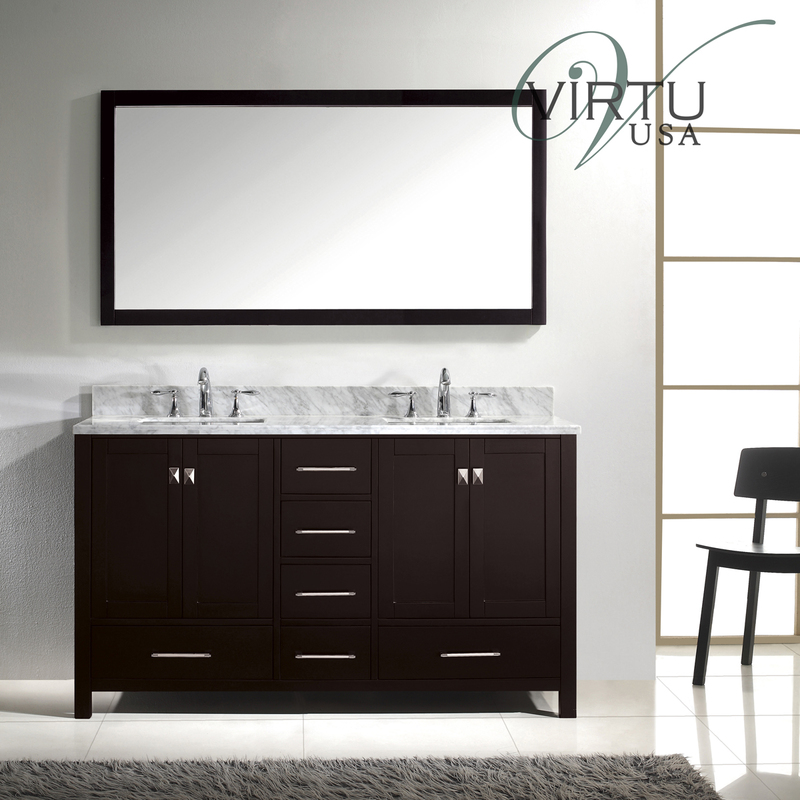 Made from sturdy solid wood that's finished in a warm Espresso finish, the Caroline Avenue Double Vanity is designed to give your bathroom a sleek look that borders between a subtle modern appeal and a traditionally simple feel. 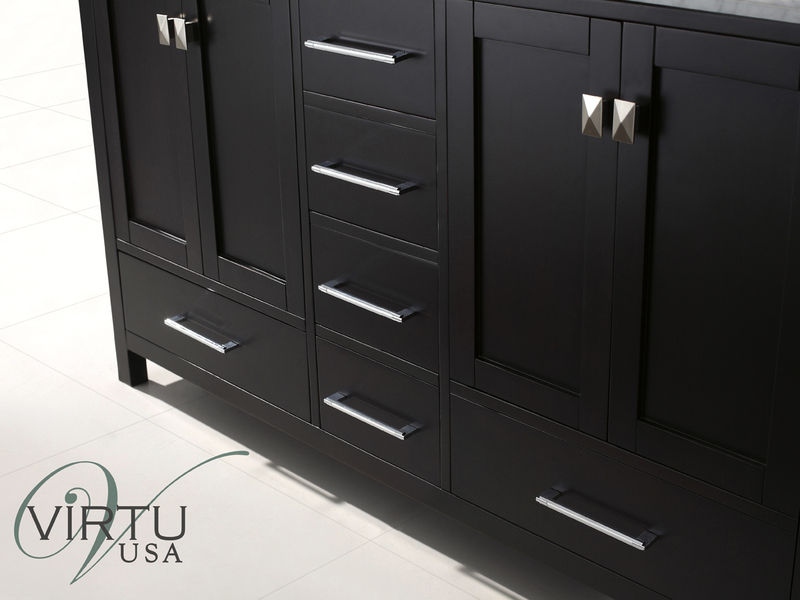 Each door of the two double-door cabinets are decked with a squared brushed metal door knob, while each of the 6 functional drawers are decorated with long, matching handles. 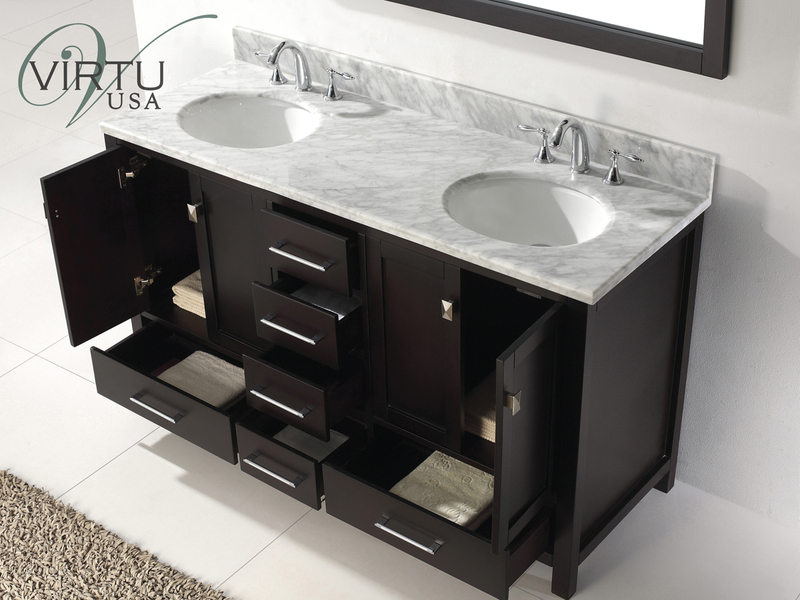 The Italian Carrera marble countertop gives the Caroline Avenue a beautiful finishing touch. 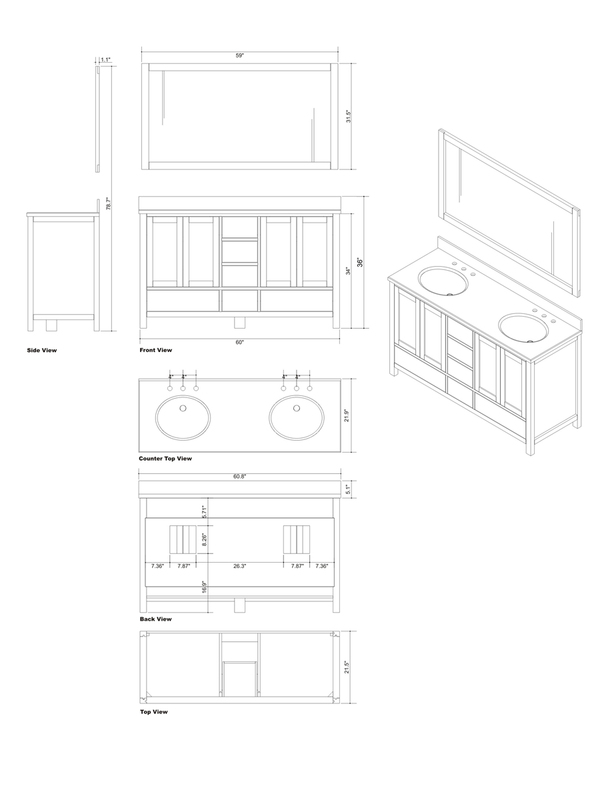 It comes with two white ceramic sinks and the sink holes can be cut with a squared or round look, whichever looks best for your bathroom!